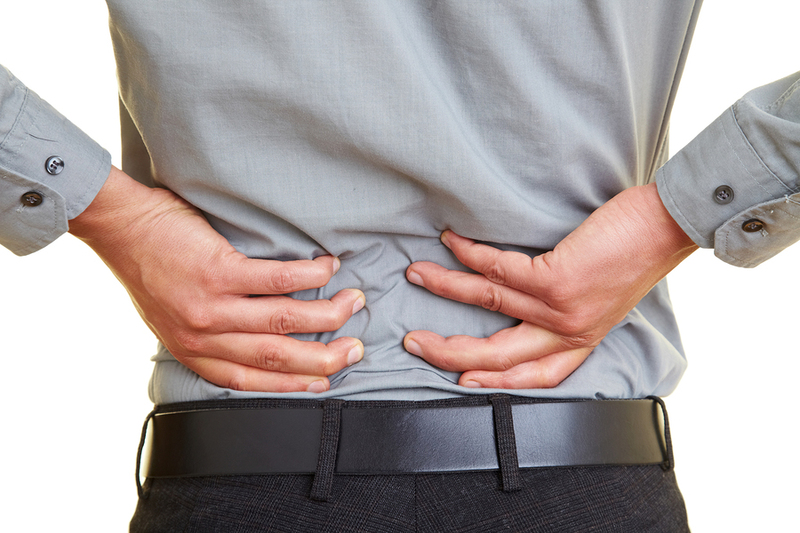 It is very likely that to relieve your back pain more effectively you should go to physiotherapy. The physiotherapist will work with you to help you regain mobility in the affected areas of your body and to heal more quickly. A very important aspect of physiotherapy is that the therapist will also teach you different ways to minimize the possibility of suffering pain in the future. Lower back physiotherapy includes active and passive treatments. The passive treatments help your body relax and the pain subsides. They are called liabilities because the patient does not have to actively participate (with physical activity) to be effective. In general, a physiotherapy program begins with passive treatments. However, the goal is to recover the affected body or area so that it is ready to perform active treatments, which are nothing more than guided therapeutic exercises that make the body more flexible and stronger. Deep tissue massage. This technique acts on the contractures of muscles that may have their origin in the stress of everyday life. You may also suffer contractures or tension in the muscles due to muscle strains or sprains. The therapist exerts a direct pressure with his hands and rubs to try to relieve tension in the soft tissues such as ligaments, tendons and muscles. Cold and heat therapies. The physiotherapist can alternate between cold and heat therapies. When using heat, look for more blood to flow to the affected area: an increase in blood flow brings more oxygen and nutrients to the area. The waste products that generate muscle contractures are also removed by the blood, which helps healing. Cold therapy, also called cryotherapy, helps reduce inflammation, muscle spasms, and pain. They could put a cold bag in the designated area or even give you a massage with ice. After cold therapy the therapist can work with you to stretch the affected muscles. Transcutaneous electrical nerve stimulation (TENS ). A TENS machine uses variable low intensity electric current to stimulate the muscles. It sounds frightening, but in reality it’s nothing painful. Electrodes are attached to the skin and these send a gentle electric current to key points. TENS helps to reduce muscle contractions and is thought to activate the secretion of endorphins, which are the pain relievers that the human body naturally produces. There are even small TENS appliances for home use that can be used at home, as long as the specialist considers it convenient. Ultrasound. By increasing blood circulation, ultrasound helps reduce muscle spasms, cramps, inflammation, stiffness and pain. This effect occurs because the ultrasound machine sends sound waves that reach deep into the mucosa tissues, generating a soft heat that facilitates circulation and healing. In the active part of physiotherapy Melbourne, the therapist will teach you various exercises to improve the flexibility, strength and stability of the abdominal muscles, the back and buttocks, as well as the range of motion of your joints. Each physical therapy program is individualized, depending on the history and health status of each patient. The type of exercises that you perform may not be appropriate for another person with back pain, especially because the pains may not have the same cause. If necessary, you will learn how to correct your posture and incorporate ergonomic principles in your daily activities. The idea is to be aware of your bad postural habits, to learn good habits and postural principles and then put them into practice to take care of your back. Your physiotherapist can also suggest a personalized exercise program that you should perform periodically. This way you reduce the possibility of back pain reappearing at the same time you maintain a good state of health in general.